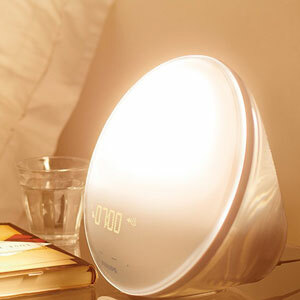 Does The Philips HF3531/01 Wake-up Light Alarm Clock Offer A Helpful Sunrise? 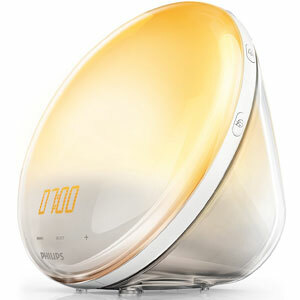 Phillips is one of those brands that have been making light therapy devices for a while, and the Philips HF3531/01 Wake-up Light Alarm Clock with Coloured Sunrise Simulation is a great looking example. This sunrise simulator lamp uses a round, soft 330 lux bulb to simulate sunrise and help people out of bed. It is clinically proven for sleep disorders and designed to offer a strong regime of light and noise to create the ideal morning routine. Is this what buyers receive, or are they disappointed with the function and look of this device? There are some great reports about this Philips HF3531/01 that highlight the quality of the light, and other features, for improving sleep patterns. This model offer a bright, strong spectrum of light from the deep reds of the earliest morning to the bright white when it is time to wake up. Many enjoy this sunrise simulation. The size of the round light on the face helps here. It is also possible to customise the light a little. There are 20 intensity settings, just in case the light is too bright for those with serve conditions. Then there is the sunset mode, which works in reverse to help people drift off. This ends with the smallest amount of light visible as a “midnight light”. This should help people see their way through the room in the dark, without turning on a light. There is the clear sense here that Phillips tried to appeal to users even further with the features on this device – beyond the basics of the sunrise/sunset. The first addition is the use of sound. This isn’t a rarity with wakeup light, as many use alarm beeps and bird song to help with some pleasant aural stimulations. There are 7 different natural sounds available and a radio function. Another interesting addition is the use of the USB port. The idea here is that users can charge their phones while they sleep. Then there is that idea of the effectiveness of this sunrise simulator. Phillips promise that this light will be ideal for many people suffering with SAD and similar conditions. They say most users find it easier to get up each day with this helping hand. This means a small minority that don’t notice a difference. Unfortunately, there are a few elements to the design of this Philips HF3531/01 Wake-up Light that let it down a little. There is a potential problem with the design of the display, and that it the placement of the digital clock on the front. A clock is always helpful with this sort of wake up system, but this Philips wake-up light isn’t that easy to read on the brighter settings. There are also those that struggle with the buttons because of their placement on the top of the light. Some say that this is a little tricky first thing in the morning. Others have a little trouble setting up the programs to start with, but soon get the hang of things. There is also a small minority that say that the “snooze” function is a little too sensitive. A light tap, or even something knocking the bedside table, is sometimes enough to reset things. Does this issue with the design and ease of use mean that this Philips Wake-up Light is no longer recommendable? Overall, it is easy to recommend this system to all those that are willing to give this a try. There are some kinks in the design that Phillips need to iron out. There is also a small learning curve to contend with. However, those that get past these issues, and can handle the intensity of the light, should do pretty well here. The light has a great sunrise mode, nice additional features that help a lot of people and a pleasing look. The bottom line with this sunrise simulator is that so many people are able to achieve a better sleep pattern and handle their mornings in a better mood. 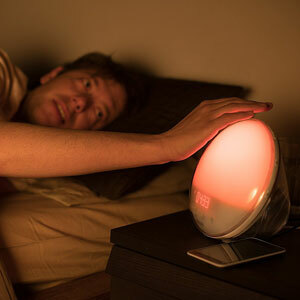 This means that the Philips wakeup light has to be worth a shot. Find more reviews about the Philips HF3531/01 Wake-up Light Alarm Clock on Amazon here.